These devices will come carrier locked, and cannot be used while travelling or on another providers. You can now unlock these devices remotely via a 16 Digit Unlock Code to free the network. Once unlocked your LG Optimus G2, F6 and F3 from T-Mobile will unlocked to be used on other networks. The process is fast, easy and 100% Guaramteed. Your LG Phone is now Unlocked! Why Unlock your LG Optimus G2, F6, F3 Phone with Cellunlocker.net? * There is absolutely no risk of damaging your LG Optimus phone by unlocking it. 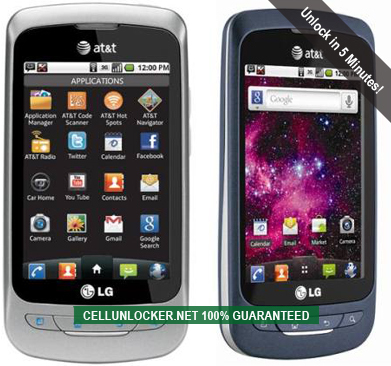 100% Guaranteed to Unlock your LG Phone!